The last days of the year are well suited for looking back at what has been done. The year 2017 has been a special one for me, because it is the first year when I have been able to focus on research rather than teaching or administration or the various other duties of a professor. And it has been the first year since a very long time, when I have not been working for University of the Arts, Helsinki. Being a humble post doc researcher now (paradoxically, since my DA is from 1999) at a prestigious establishment like HCAS (Helsinki Collegium for Advanced Studies) has been a real pleasure. I have also travelled a lot, however, strangely busy with all kinds of other duties that I have both enjoyed and felt obliged to take on now when I had more time, such as the board of NARP (Norwegian Artistic Research Program), or TJNK, the Committee for public information in Finland, or the board for Public Display Grants for Visual Arts, or evaluation of international post-doc grant applications for Vetenskapsrådet, the Swedish Research Council, or grant applications for Formas and so on, besides my ordinary duties on the editorial board of JAR (Journal for Artistic Research). When I list them like this they feel too much! 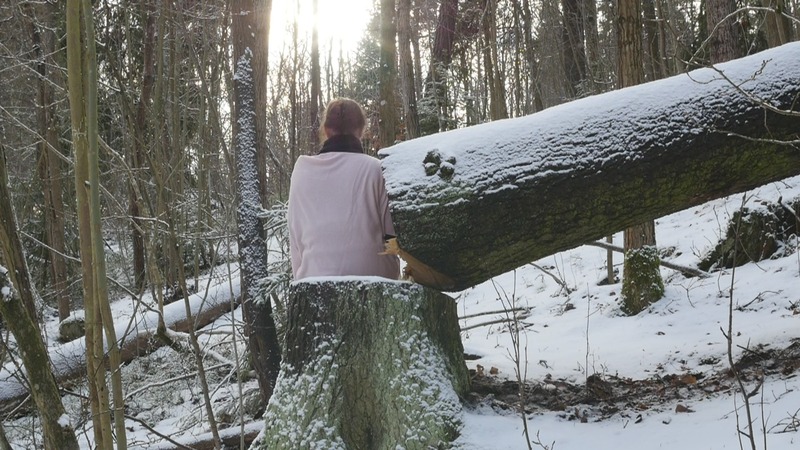 Most of my time I have nevertheless been able to devote to performing with plants, that is, visiting the two trees in Helsinki and in Stockholm that I have chosen to sit with repeatedly during this year, as a beginning of sorts. Travelling back and forth to Stockholm twice a month has been expensive and tiring, too, but also enjoyable. If I think of what I have really been doing during this year, those visits to the trees and all the blog posts related to them are probably the main results that remain. Most of the material is collected onto the Research catalogue, on the project website. I have also edited old videos and written quite a lot, nothing new or interesting, rather like finishing old texts. A lot of time and energy has been spent on the research project HTDTWP (How to do things with performance), with Hanna Jörvinen, Tero Nauha and Pilvi Porkola, and most of my conference travels have been with them, as well as most of the challenges and the funny things, too. Although my focus in that project is on the old series mad on Harakka Island, Animal Years, and what could be done with that today, I have been able to combine some of the presentations with performing with plants. But for the most part I have been working on texts and publications based on previous work and older material. One example is the book for Routledge that we have edited together, Bruce Barton, Melanie Dreyer-Lude, Ben Spatz and me Performance as Research: Knowledge, Methods, Impact. That is something I am really proud of, I must say. This has been an extraordinary year in terms of artistic work as well, with two private exhibitions. The Tide in Kan Tiang was shown in Mediaboxi in the spring, Cami de Cavalls in the former telegraph on Harakka Island in summer, and Once again – video works from Harakka Island and Lake Kilpis at Muu gallery in the autumn. But all these exhibitions showed old works. The only one that I count as performing with plants is The Tide, because there I am really standing together with a small tree. The most special thing this year was that I was allowed to and supposed to focus on my research, instead of doing it as a hobby on the side, and to devote myself to artistic work as the core of that research. But did I accomplish more, then? Probably the month of September that I spent in residency in Nida Arts Colony was the most productive time. I have produced quite a lot of small videos all through the year, not all of a very good quality, or exciting, though. The tree calendar, choosing one tree in the Helsinki area each month, following the Celtic tree calendar, was the only new thing. I wrote about it for the HCAS blog. New was also the idea to make video essays by combining old video materials inserted into a contemporary image of the same site and adding an academic or semi-academic text as a voice over. That is something I plan to continue with, as part of the project How to do things with performance. But what about performing with plants? None of the articles published this year actually deals with the project Performing with plants, although I have listed “Practising art – as a habit? 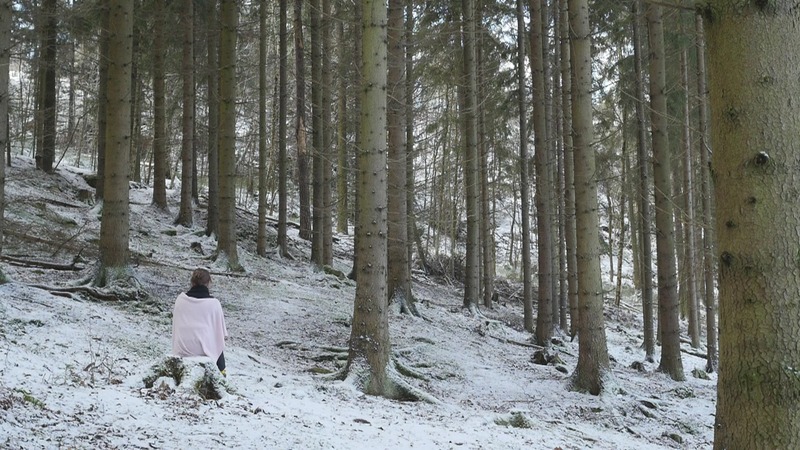 / Att utöva konst – som en vana?”, which appeared in Ruukku Journal #7, on the project website, because trees play the main part in the works I write about there. Most articles are related to previous projects or to more general concerns, but I am nevertheless proud to list them here below (the ones with * are peer-reviewed). Several articles are about to be published soon, some of them were supposed to appear this year, but I have listed only those that are officially available now. Many talks and conference papers, however, that I presented during the year were related to performing with plants. They are listed separately here below, before other talks. My immediate impulse when looking back at what I have done is to think of everything that remains to be done and to start planning for next year, but that would be another story. Once Again – video works from Harakka Island and Lake Kilpis. Muu Gallery, Helsinki 7.10.-12.11.2017. Audiences Swinging Together, participatory performance, Nordic Performance Art – Reaching a New Audience, Munkemose, Odense 1.9.2017. 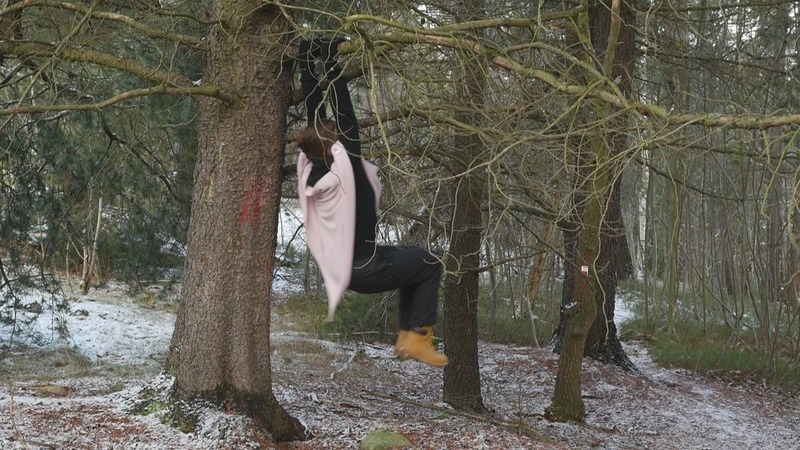 Year of the Snake – Swinging (mini) at performance art festival MEETINGS by ET4U, Contemporary visual art projects – Mid & Western Jutland, Skaerum, Mölle on 1.9. 2017. Cami de Cavalls. Telegraph of Harakka 26.7.-6.8.2017. Solsidan 1-4, Art fair Suomi Helsinki 25-28.5.2017. Year of the Rat Upphill-Downhill, Me: Self-portraits Through Time Kunsthalle Helsinki 27.5.-6.8.2017. Year of the Horse – On Rock and Wood, LiikKUVAT Pitkäniemi Hospital Tampere 31.3.-30.7.2017. The Tide in Kan Tiang in Mediaboxi in Gallery Forum Box 1.4.-23.4.2017. — “Agential Cuts and Performance as Research”. In Annette Arlander, Bruce Barton, Melanie Dreyer-Lude, Ben Spatz (eds.) Performance as Research: Knowledge, Methods, Impact. London and New York: Routledge 2018, 133-151. — “Introduction to Future Concerns”. In Annette Arlander, Bruce Barton, Melanie Dreyer-Lude, Ben Spatz (eds.) Performance as Research: Knowledge, Methods, Impact. London And New York: Routledge 2018, 333-349. * — “Maisema, materia ja muutos. Harakan saaren luontokulttuuria dokumentoimassa.” [Landscape, Matter and Change. Documenting the Natureculture of Harakka Island] In Mari Mäkiranta, Ulla Piela and Eija Timonen (eds.) Näkyväksi sepitetty maa. [The Land Narrated Visible] Kalevalaseuran vuosikirja 96. Helsinki: SKS 2017, 23-39. * — “Practising art – as a habit? / Att utöva konst – som en vana?” In Ruukku Journal #7.2017. — “Data, Material, Remains”. In Mirka Koro-Ljungberg, Teija Löytönen & Mark Tesar (eds.) Disrupting Data in Qualitative Inquiry. Entanglements with the Post-Critical and Post-Anthropocentric. Peter Lang Publishing 2017, 171-182. — “Four Workshops – Four Approaches to Performance Art”, in Pilvi Porkola (ed.) Performance Artist’s Work Book. On teaching and learning performance art – essays and exercises. University of the Arts Helsinki, Theatre Academy and New Performance Turku 2017, 33-47. — “Artistic Research as a Speculative Practice” JAR (Journal for Artistic research) network. —- “A few words”, introduction to Icehole #6 2017, The Live Art Journal. —- “How to do things with repetition?” video with text, Icehole #6 2017, The Live Art Journal. — “Performing with plants – presentation, process, archive”, at the symposium on artistic research organized by the Swedish Research Council at Stockholm University of the Arts 28-29.11.2017. — “Performing with Plants”, presentation and screening at the public seminar in Helsinki University Think Corner (Tiedekulma) 14.11.2017. — “Performing with Plants”, presentation and workshop at Transversality in Performance, Doctoral Symposium at the Faculty of Fine, Applied and Performing Arts at University of Gothenburg 9-10.10.2017. — “Between Sea and Sky – With a Tree”, talk at the seminar Between Sky and Sea: Tourist, organised by Performance Art Bergen in Kvalnes, Lofoten 18.7.2017. — “Resting with the Pines in Nida”, at the seminar “With Plants”, Helsinki Collegium for Advanced Studies 27.10. 2017. — “Performing with Plants” installation at Colloquium on Artistic Research in Performing Arts, CARPA 5 Perilous Experience? Extending Experience Through Artistic Research at University of the Arts Helsinki, Theatre Academy 31.8.2017. — “How to do things by performing with plants” in the panel organised by the research project How to Do Things with Performance at the IFTR (International Federation for Theatre Research) conference Unstable Geographies – Multiple Theatricalities in Sao Paulo 10-14.7.2007. — “Performing with trees?” introduction with screening of The Tide in Kan Tiang as part of the workshop organised by How to do things with performance? at Sao Paulo Escola del Teatro 6.7.2017. — “How to do things with performance – Performing with plants (first attempts)” in the Artistic Research Working Group at PSI#23 Overflow (Performance Studies International conference) in Hamburg June 8-11.2017. — “Performing with Plants” in Plantarium: Re-imagining green futurities, at Linköping University 1-2.6.2017. — “Performing with plants”, project presentation at seminar “Working with Plants” Helsinki Collegium for Advanced Studies 3.5.2017. — “Performing with Plants”, presentation of the project at the Brown bag seminar at the Helsinki Collegium for Advanced Studies on 25.4.2017. — “Open archiving as a strategy in artistic research – two examples”, at Autumn Day of the Finnish Society for Theatre Research, Theatre Museum, 13.11.2017. — “The Cliff Revisited”, at the Research Day organised by the research project How to do Things with Performance, University of the Arts Helsinki, Theatre Academy, 8.11.2017. — Presentation with the research project “How to do things with performance?” at the post doc seminar of Performing Arts Research Centre, University of the Arts Helsinki, Theatre Academy 26.10.2017. — “The Shore revisited”, presentation with “How to do things with performance?” research project at New Performance Turku Festival 7.10.2017. — “Audiences Swinging Together”, presentation at the seminar organised by Nordic Performance Art – Reaching a New Audience in Munkemose, Odense on Friday 1.9.2017. — Presentation in “Liminal Stages – Artistic Research and Art With(in) Research” during Aboagora, Sibelius Museum, Turku 23.8.2017. — “Accessing Performance” – a two-day event organized together with Hanna Järvinen, Pilvi Porkola and Tero Nauha, Camino Events at the Artistic Research Pavillion in Venice 17-18.5.2017. — “What is Given?” a workshop together with Tero Nauha, Hanna järvinen and Pilvi Porkola at the SAR (Society for Artistic Research) conference Please Specify! in Helsinki 28-29.4.2017. — Presentation in a panel at “The Avantgarde Today” (in Finnish) organised by FAM (Finnish Avantgarde and Modernism network), 20.4.2017. — “Artistic Research and/as interdisciplinarity – Swinging Together”. Lecture for choreography students at University of the Arts Theatre Academy 16.1.2017.